Medicine and allied sciences flourished in the medieval Islamic world. 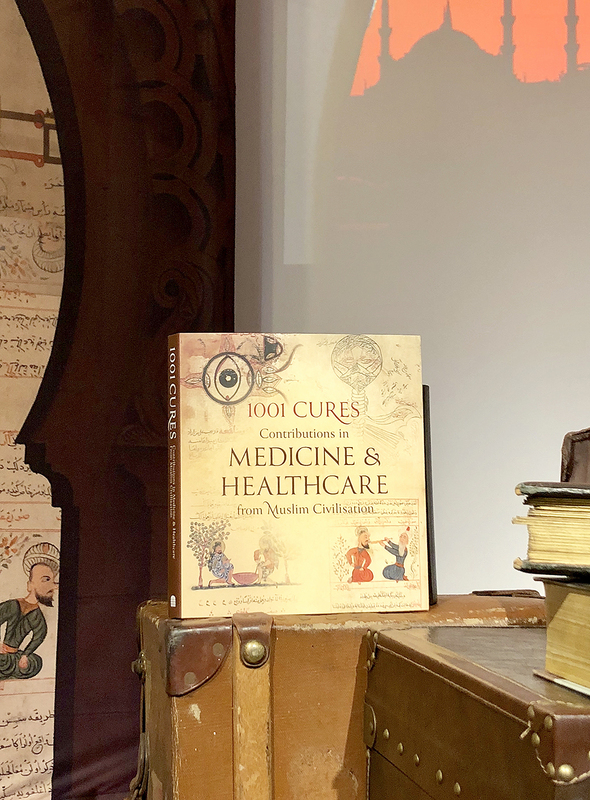 1001 Cures: Contributions in Medicine and Healthcare from Muslim Civilisation tells the fascinating story of how generations of physicians from different countries and creeds created a medical tradition admired by friend and foe. It influences the fates and fortunes of countless human beings, both East and West. Based on a translation movement of Greek medical tests, it drew on the legacy of surrounding cultures (Egyptian, Persian, Indian and Chinese). Importantly, it innovated in surgery, gynaecology, paediatrics and pharmacology, to name just a few areas. Ultimately, this tradition served as the foundation for European university medicine in the medieval and early modern period and has thus impacted on healthcare until today. 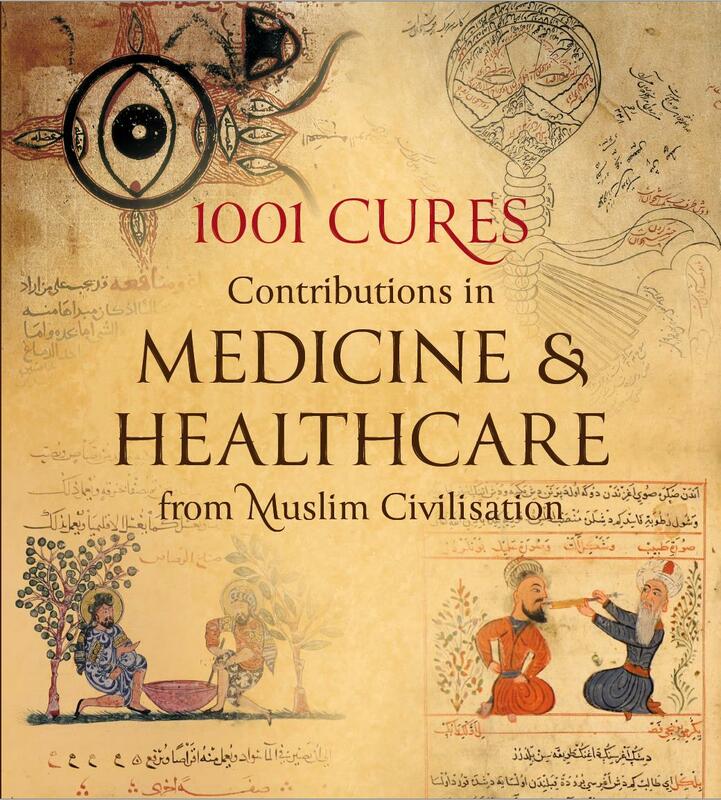 1001 Cures: Contributions in Medicine and Healthcare from Muslim Civilisation is a multi-author book, where distinguished authors, physicians and historians of science have key contributions. The book, which is edited by Peter E Pormann, falls in 19 chapters and features 13 authors. Figure 2. From Left Dr. Bettany Hughes, Prof Peter Frankopan, Dr Aarathi Prasad and Prof Peter E. Pormann. Panel discussion during the 1001 Cures book launch at the Royal Society, London. Rabie E. Abdel-Halim (deceased) was a consultant urologist who researched and lectured on the subject for more than 30 years and was last an emeritus professor of urology at King Saud University Medical College, Riyadh, Saudi Arabia. Professor Abdel-Halim developed an interest in medical history for over 20 years and published widely in various international journals and conference proceedings, and became a visiting professor at Al-Faisal University, Riyadh, where he authored and taught courses on the History of Islamic Science and Islamic Medical Ethics. In 2005 he was awarded the Kuwait Foundation for Advancement of Sciences prize. He was also a poet with several Arabic poetry publications. His website is www.rabieabdelhalim.com. Peter Adamson is Professor of Late Ancient and Arabic Philosophy at the LMU in Munich; he moved to Munich from King’s College London, where he is still affiliated. He has written two monographs on al-Kindī and his circle, and together with Peter E. Pormann produced a book of translations of al-Kindī’s works. He has published numerous articles on ancient and medieval philosophy and edited a number of volumes, mostly recently, again together with Peter E. Pormann, Philosophy and Medicine in the Formative Period of Islam (2017). Natalia Bachour studied pharmacy at the Universities of Damascus and Kiel, translation at the University of Mainz, and history of medicine at the University of Heidelberg, where she obtained a doctorate with the thesis on early modern Paracelsian physicians and how their word was received in Arabic and Turkish; the thesis won the Prix Carmen Francés. Since 2010, she works at the University of Zurich, teaching Arabic and history of medicine. Her research focuses on the human body as a remedy in cultural and medical history. Hans Hinrich Biesterfeldt read Arabic and Islamic Studies, Ancient Philosophy and Medieval History at Freiburg im Breisgau, Munich, Göttingen (PhD 1970), and Yale. After a two-year fellowship at the Orient-Institut of the Deutsche Morgenländische Gesellschaft in Beirut he taught Arabic and Islamic Intellectual History at the Universities of Heidelberg and Bochum. He published on the transmission of Greek medicine and philosophy to Arabic culture, on the early history of classifications and transmission of knowledge in Islam, and on classical Arabic prose literature. Leigh Chipman (PhD 2006, The Hebrew University of Jerusalem) is an independent scholar, editor and translator based in Jerusalem. She has held post-doctoral fellowships at Ben-Gurion University of the Negev (Beersheba) and Tel Aviv University, and has been a research fellow on projects on the reception of Galen in Arabic and Hebrew (Bar-Ilan University) and on Arabic epigraphy and on affluence in the Fatimid period (both at the Hebrew University of Jerusalem). Her own research focuses social and intellectual history of medicine and science in the Mamluk period and the Cairo Genizah. With Peter E. Pormann and Miri Shefer-Mossensohn, she has recently editied the two-volume special issue of Intellectual History of the Islamicate World on ‘Medical Traditions’. Aileen Das is an Assistant Professor of Classical Studies at the University of Michigan. Her work draws attention to the relationship between medicine and philosophy in the classical and medieval Islamicate worlds. She is broadly interested in the transfer of Greek philosophical knowledge into Arabic. Her research considers not only how the transmission of certain texts shaped the development of ‘Arabic Platonism and Aristotelianism’, but also how the translators of these texts, who were working in the Sinai, Palestine, and Baghdad, adapted the sources for their monotheistic readership. Nahyan Fancy is an Associate Professor of Middle East/ Comparative History at DePauw University. His research interests are in pre-1500 medicine and intellectual history. He published a monograph on Science and Religion in Mamluk Egypt (Routledge, 2013), examining the intersections of philosophy, theology and medical physiology in the works of Ibn al-Nafīs. His current research focuses on Arabic medical commentaries on Avicenna’s Canon of Medicine, particularly the many developments that took place in medical physiology between 1250–1520 across Islamic societies. He was a member of the Institute for Advanced Study, Princeton, in autumn 2015. 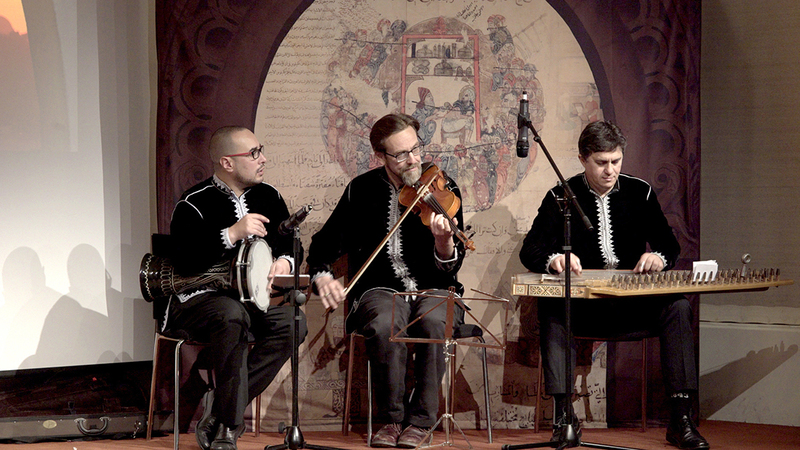 Peter E. Pormann in Professor of Classics and Graeco-Arabic Studies at the University of Manchester. Recent publications include two special double issues The Arabic Commentaries on the Hippocratic ‘Aphorisms’ (Oriens, co-edited with Kamran I. Karimullah; 2017), and Medical Traditions (Intellectual History of the Islamicate World, co-edited with Leigh Chipman, Miri Schefer-Mossensohn; 2017–18) and two edited books: La construction de la médecine arabe médiévale (with Pauline Koetschet, 2016); and Philosophy and Medicine in the Formative Period of Islam (with Peter Adamson; 2017). His Cambridge Companion to Hippocrates is forthcoming in 2018. Pauline Koetschet is a researcher at the Centre National de la Research Scientifique. She studied philosophy at the École normale supérieure (Rue d’Ulm) in Paris, and obtained a doctorate from the Unversities of Paris-Sorbonne and Warwick with a thesis on Abū Bakr al-Rāzī. She has published an anthology of Arabic philosophy (La Philosophie arabe, IVe-XIVe siècle, 2011) and edited, with Peter E. Pormann, La construction de la médecine arabe médiévale (2016). She is currently preparing a critical edition and French translation of al-Rāzī’s Doubts about Galen (al-Shukūk ʿalā Jālīnūs). medicine in Arabic. In 2005 his book on the Benefits of Bodies and Souls (Maṣāliḥ al-abdān wa-l-anfus) by al-Balkhī was awarded a prize by the International Union for the History and Philosophy of Science. 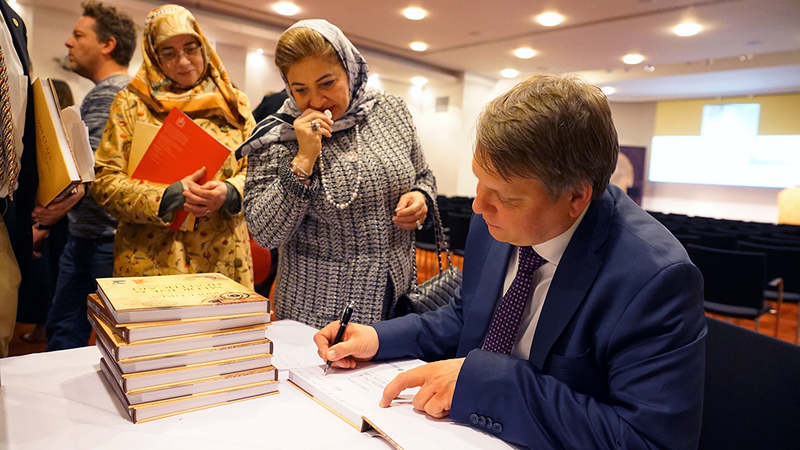 His book on the History of Paediatrics in Arabic and Islamic Heritage was awarded the 2005 Prize of Kuwait Foundation for the Advancement of Sciences. Ahmed Ragab is the Richard T. Watson Associate Professor of Science and Religion at Harvard Divinity School, affiliate associate professor at the department of the history of science, and director of the Science, Religion and Culture program at Harvard Divinity School. He obtained an MD from Cairo University in 2005 and a PhD in History and Philosophy of Science from L’École Pratique des Hautes Études in Paris (2010). 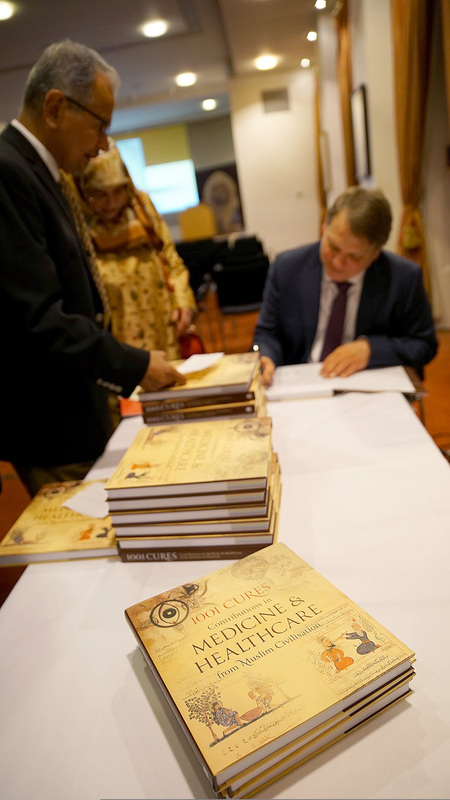 His thesis, now published as a book The Medieval Islamic Hospital: Medicine, Religion and Charity (2015), dealt with medieval hospital provisions in the Islamic world. Other interests include the history of prophetic medicine and modern Islam’s relationship to science and medicine. Emily Selove is a lecturer at the University of Exeter, where she teaches and researches medieval Arabic literature. Her published monograph, Ḥikayat Abī al-Qāsim: A Literary Banquet, centres on the eleventh century story of a Baghdadi party-crasher in Isfahan. She published a translation of Al-Khaṭīb al-Baghdādī’s partycrashing book, Selections from the Art of Party-Crashing in Medieval Iraq (2012). Her current research involves a literary reading of medieval Arabic magical texts, and a translation and edition of Sirāj al-Dīn al-Sakkākī’s thirteenth-century handbook of magic, Al-Kitāb al-Shāmil wa-l-baḥr al-kāmil (The Comprehensive Book and the Full Sea). Justin Stearns is an Associate Professor at New York University Abu Dhabi. His research interests focus on the intersection of law, science, and theology in the pre-modern Muslim Middle East. His first book was Infectious Ideas: Contagion in Pre-Modern Islamic and Christian Thought in the Western Mediterranean (2011) and he has published articles in Islamic Law and Society, Medieval Encounters, Al-Qantara, and History Compass. He is currently working on a book on the social status of the natural sciences in early modern Morocco entitled Revealed Science: The Natural Sciences in Islam in the Age of al-Ḥasan al-Yūsī (d. 1691) as well as on an edition and translation of al-Yūsī’s Muḥāḍarāt for the Library of Arabic Literature. 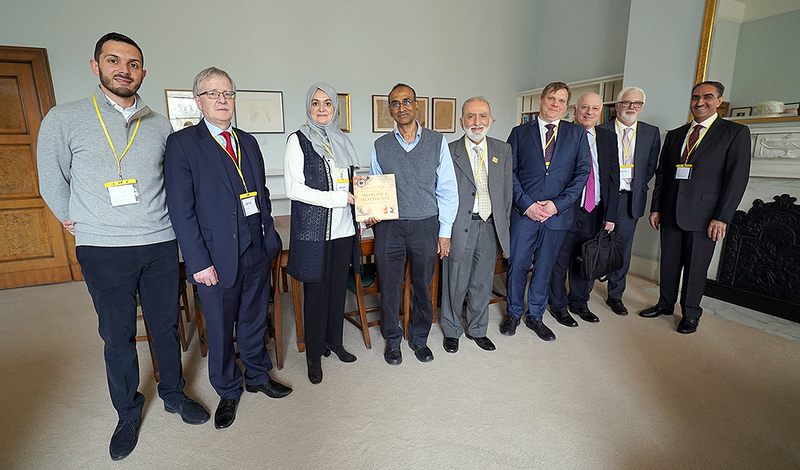 London: 14 March 2018; The Foundation of Science, Technology and Civilisation (FSTC), the publishers of the title 1001 Cures: Contributions in Medicine and Healthcare, in partnership with Healthcare Development Holding (HDH) organised a book launch event at the Royal Society in London in celebration of the British Science Week 2018. 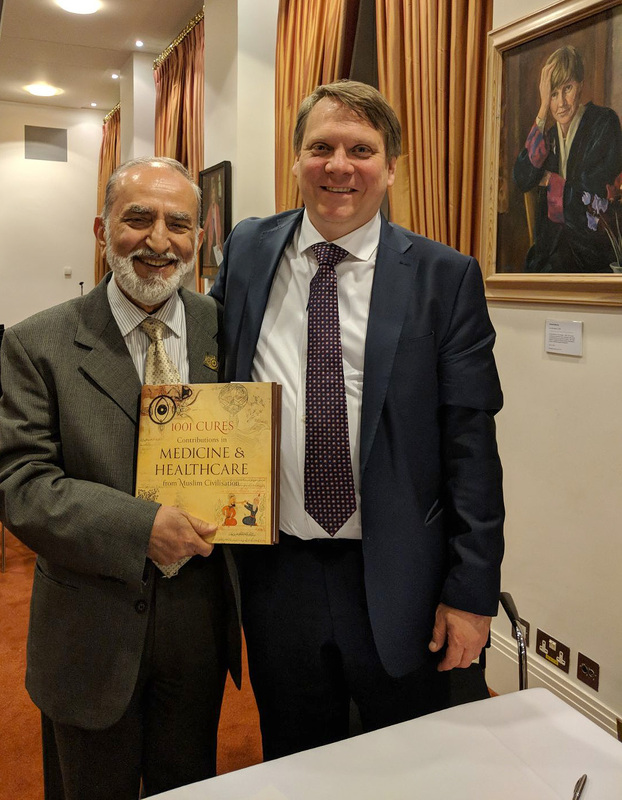 The book launch event included an enlightening panel discussion that presented the long medical traditions from the East including Muslim and Indian civilisations as well as along the Silk Road. 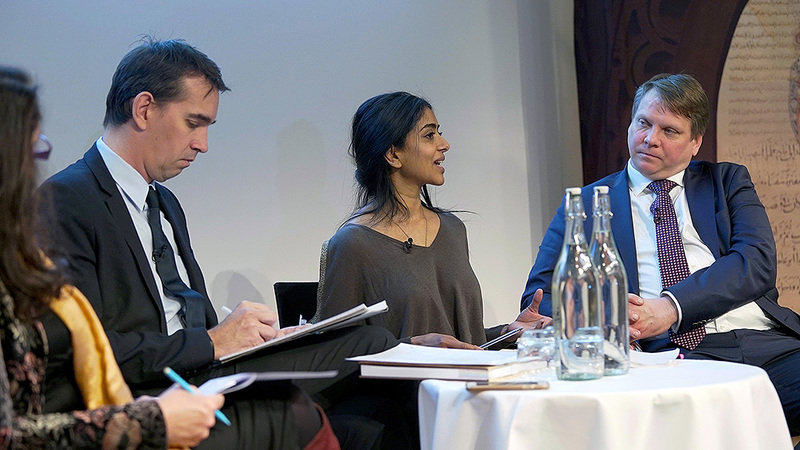 The panel, which was moderated by Bettany Hughes, included Peter Frankopan, Peter Pormann and Aarathi Prasad. The distinguished speakers discussed the fascinating legacy of healthcare from the Eastern world, and how it drew on ancient cultures and influenced European thought. After the panel speeches were made by: Mr Ian Fenn, representing publishers; Dr Wael Kaawch representing the sponsors; Prof Peter Porrman representing the authors; Dr Tarek Fadaak and Dr Ahmed Abo Khatwa representing the readers; Dr Sharif Kaf Al-Ghazal reading a tribute on late Dr Rabie Abdel Halim sent by Prof Glen Cooper. To enquire about obtaining a copy of the 1001 Cures: Contributions in Medicine and Healthcare in Muslim Civilisation, please contact us.